Helen Louise (Tyberendt) Gaines, 76, loving wife, mother, and grandmother, of New Albany, Indiana, passed away on Sunday, March 10, 2019. 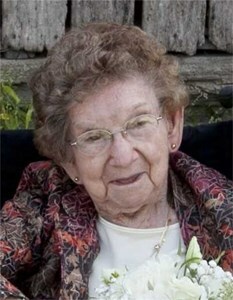 She enjoyed traveling the world, spending time out in her garden and also playing crossword puzzles and games. Visitation will be from 11:00 a.m. to 2:00 p.m. on Friday, March 15, 2019 at Newcomer Cremations, Funerals & Receptions (3309 Ballard Lane, New Albany) with her funeral service taking place at 2:00 p.m. Cremation will follow according to Helen’s wishes. Louise Marcella (Wieseka) Elmer, 96, of Floyds Knobs and New Albany, Indiana, passed away on Friday, February 22, 2019. Louise was a long-time member of Holy Family Catholic Church. Visitation will be from 3:00 pm to 8:00 pm on Monday, February 25, 2019 at Newcomer Funeral Home – New Albany, (3309 Ballard Lane) with additional visitation on Tuesday at the funeral home from 9:00 am until the time of service. Her Mass of Christian Burial will be celebrated at noon on Tuesday, at Holy Family Catholic Church (129 W. Daisy Lane, New Albany) with burial to follow at St. Mary of the Knobs Catholic Cemetery in Floyds Knobs, Indiana.